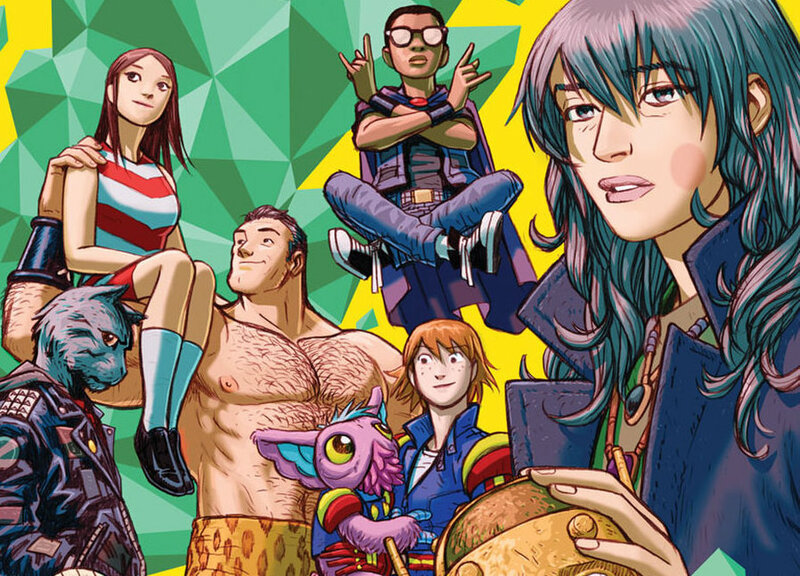 Young Animal's 'Doom Patrol' will return in July – AiPT! When it comes to comics, there’s always room for something stranger. This is definitely the case with DC’s Doom Patrol, which features such strange members as Negative Man, Robotman and Elasti-Girl. Negative Man’s got another radioactive being inside, while Robotman’s robot body keeps him alive. You might already be enjoying the Doom Patrol series on DC Universe, but DC recently released a statement explaining that their comic adventures will finally be continuing July 3rd with Doom Patrol: Weight of the Worlds with Gerard Way returning to write, under his imprint Young Animal, and Goosebumps: Monsters at Midnight‘s Jeremy Lambert co-writing. Multiple artists will be working on the series, like Doc Shaner, Becky Cloonan, James Harvey and many more. Doom Patrol won’t be alone, as new titles Collapser and Far Sector will be joining it. My Chemical Romance’s bass guitarist Mikey Way and Neverboy writer Shaun Simon will be writing Collapser, while Secret Identities artist Ilias Kyriazis will be illustrating. The series will focus on wannabe DJ Liam James, whose goals are almost ruined by his crippling anxiety until a package containing a black hole arrives. It’ll begin July 17th. The Broken Earth’s N.K. Jemisin will write Far Sector, with Naomi artist Jamal Campbell illustrating. It’ll center around new Green Lantern Sojourner Mullein, who for six months has been protecting City Enduring, which has kept peace for 500 years by taking away its people’s “ability to feel.” The series will launch late 2019. I welcome more Doom Patrol and I find the premises of both new series very interesting. I welcome more series exploring mental health, as Mister Miracle and Eternity Girl have recently done for DC, while Far Sector also has a really enticing sci-fi hook. I hope these series interest you too. DC’s Young Animal is returning this July with the next chapter of its flagship title, plus two new, innovative stories. The pop-up imprint curated by My Chemical Romance front man Gerard Way will kick things off on July 3 with DOOM PATROL: WEIGHT OF THE WORLDS, followed by COLLAPSER on July 17 and FAR SECTOR in late 2019. Liam James is a wannabe DJ whose life goals are almost completely dashed by his crippling anxiety–until a package arrives in the mail containing a black hole that gives him amazing powers and draws him into a cosmic conflict far beyond anything he’d ever imagined. But Liam will discover that when it comes to life, love, mental health and superhero responsibilities, there’s no such thing as a quick fix, and that power comes with a cost.